Say HELLO to our NEW Wonderfully designer inspired sunglasses.A retro throwback frame with intricate modern patterns surrounding the top frame and lenses.. 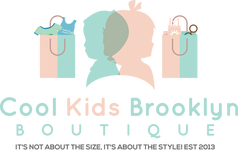 This ultra trendy style is quickly becoming a must have staple item for your growing COOLKIDSBKLYN collection. Special discounted price available for 6 pieces and UP. All of our glasses are UV400 -protecting the eyes from both harmful UVA and UVB light (ultraviolet radiation).Our glasses also meet the European Union standard.